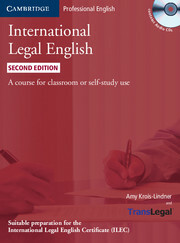 Written by Philip Shawcross, one of the world's leading Aviation English experts, and reviewed by a panel of aviation English specialists, this course offers a thorough grounding in the range of communication skills needed by both pilots and Air Traffic Control Officers (ATCOs) aiming to reach ICAO4 level or above. 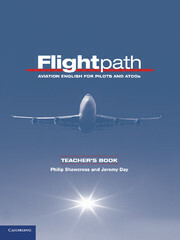 The Teacher's Book is a complete manual and subject matter reference book for Aviation English teachers of any level of experience, with detailed notes and instructions for each unit. The teacher's notes provide further support and will help the trainer customise the course for pilots, ATCOs and mixed classes.